Shakespeare’s Globe announces programme for festival ‘Shakespeare and Race’. 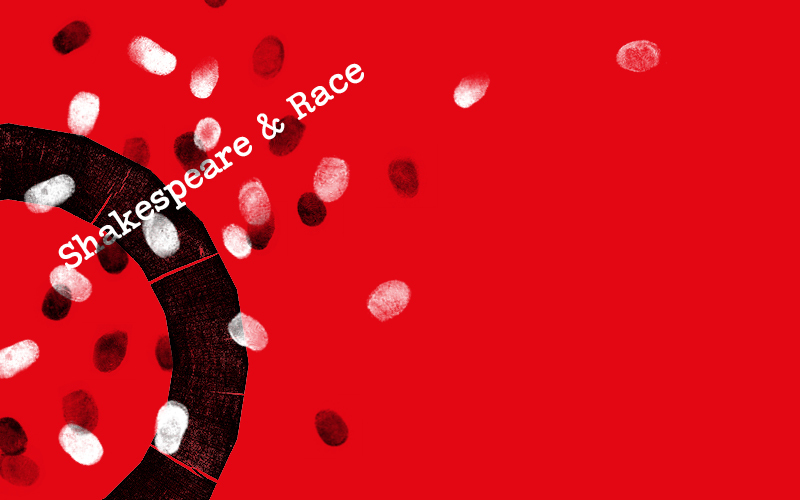 Shakespeare’s Globe is delighted to announce the programme for‘Shakespeare and Race’, a new festival of events opening 11 August. This is the first time in the Globe’s twenty-year history that the topic will be explored in depth over a week. Curated to draw attention to and provide a platform for scholars, practitioners and educators of colour in the teaching, study and performance of Shakespeare, this festival will highlight the importance of race to the consideration of Shakespeare not only in his time, but more urgently, in our own. The festival includes a play American Moorby Keith Hamilton Cobb, a workshop entitled Staging Race and Diversity in the Shakespearean Theatre, The Sam Wanamaker Fellowship Lecture is to be given by Professor Kim F. Hall, a pre-show talk for Emilia with Morgan-Lloyd Malcolm, a panel discussion of actors who have played Othello, and an international symposium featuring Kimberlé Crenshaw, Professor of Law at Columbia Law School and UCLA, who coined the term ‘intersectionality’. The festival starts and finishes with two theatre productions, Voices in the Dark and Hip-hop Shakespeare Unplugged. Keith Hamilton Cobb is best-known for his roles as Noah Keefer for ABC’s All My Children, for which he was nominated for a Daytime Emmy Award, Tyr Anasazi in Gene Rodenberry’s Andromeda, Damon Porter in CBS’s The Young and the Restless, and Quincy Abrams for the series Noah’s Arc (Logo Network). Other television credits includeThe Fresh Prince of Bel-Air, Boston Common, Suddenly Susan, One on One, The Twilight Zone, and CSI Miami. A prolific stage performer, Keith has performed in multiple Shakespearean plays, including Hamlet, Romeo and Juliet, Coriolanus, A Midsummer Night’s Dream, as well as more contemporary roles in David Mamet’s Race, August Wilson’s Jitney, and Lynn Nottage’s Ruined. A panel discussion entitled Women and Theatre in Britain will take place on Thursday 16 August. It will explore what it means to be a woman of colour working in theatre in 21st century Britain. Participants will be playwrights, actors, directors and prominent women in theatre. Joan Iyiolawill be taking part in the panel. Joan’s credits include The Duchess of Malfi,Life of Galileo, Boris Godunov, Orphan of Zhao (Royal Shakespeare Company), A Season in the Congo (Young Vic), The White Devil (RSC),Eclipsed (Gate Theatre), and They Drink It in the Congo (Almeida). Further participants are to be announced soon. Playing Othello, on Friday 17 August, will see a panel discussion with actors who have played Othello in recent years and who will share their experiences of the role. Playing Othello will be chaired by the author of the most recent Arden introduction to Othello, Professor Ayanna Thompson (Arizona State University). The panel will include André Holland andGolda Rosheuvel. More actors taking part in the panel discussion will be announced soon. Golda Rosheuvel played Othello at the Liverpool Everyman earlier this year. Instead of a gender-swap, Golda played the role as a lesbian woman. Her theatre credits include Romeo & Juliet (Shakespeare’s Globe), A Pacifist’s Guide to the War on Cancer, Wonder.land, The Curious Incident of the Dog in the Night Time (National Theatre), Electra, Carmen Jones(Old Vic), Marat/Sade, The Tempest, Julius Caesar, and Antony and Cleopatra (RSC). Screen credits include Lady Macbeth, EastEnders andHolby City (BBC). André Holland plays Othello this summer at the Globe, which opened 20 July. André is best known for his roles in Academy Award-winning films Moonlight and Selma. The multi-award-winning actor’s other screen credits include 42 and The Knick. Theatre credits include Jitney(Broadway), Blue Door (Playwrights Horizons), Wig Out (Vineyard Theatre), The Brother / Sister Plays (Public Theatre) and All’s Well That Ends Well(Shakespeare in the Park). Keynote speakers for the symposium comprise Kimberlé Crenshaw, Professor of Law at Columbia Law School and UCLA. She coined the term “intersectionality” and is a leader in the intellectual movement of Critical Race Theory. Crenshaw is a co-founder of the African American Policy Forum and the Women’s Media Initiative. Luke Harris is Associate Professor of American Politics and Constitutional Law at Vassar College and co-founder of the African American Policy Forum. He has written a series of critically acclaimed articles on equality in contemporary America.Devon Carbado is the author of Acting White? Rethinking Race in a “Post-Racial” America (Oxford University Press). He currently teaches at UCLA School of Law and has won numerous teaching awards, including the inaugural Fletcher Foundation Fellowship. Ayanna Thompson has written extensively on the subject of Shakespeare and race, including Passing Strange: Shakespeare, Race and Contemporary America (Oxford University Press) and, most recently, Shakespeare in the Theatre: Peter Sellars (Arden Bloomsbury). Professor Thompson is the 2018-19 President of the Shakespeare Association of America and Director of the Arizona Center for Medieval & Renaissance Studies at Arizona State University. Arthur L. Little is an Associate Professor of English at UCLA and author of numerous articles on Shakespeare, race and justice. Ania Loombais the Catherine Byson Professor of English at the University of Pennsylvania where she researches and teaches early modern literature, race and feminist theory. Her latest publications include Rethinking Feminism in Early Modern Studies: Gender, Race and Sexuality (Routledge). Ian Smith is a professor of English and teaches courses on English, Women’s and Gender Studies and Africana studies at Lafayette College. His current research project, Black Shakespeare, examines Shakespeare’s interest in social and political racial identities. Joyce Green MacDonald is the author of Women and Race in Early Modern Texts (Cambridge University Press). She is the Associate Professor of English at the University of Kentucky. The final event of the festival will be in the Sam Wanamaker Playhouse on18 August, Hip-hop Shakespeare Unplugged, from Akala and The Hip-hop Shakespeare Company. The show will feature the renowned Hip-hop Shakespeare house band and a range of undiscovered young talent performing a medley of songs inspired by scenes and themes from Shakespeare’s plays and sonnets. Founded by MOBO-award winning hip-hop artist Akala, The Hip-hop Shakespeare Company is a music theatre production company aimed at exploring the social, cultural and linguistic parallels between the works of William Shakespeare and that of modern day hip-hop artists. Shakespeare’s Globe comprises the Globe Theatre, Sam Wanamaker Playhouse, education faculty, exhibition & tour, retail, catering and events spaces. 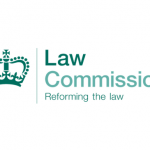 A registered charity (No. 266916), the Shakespeare’s Globe Trust does not receive regular public subsidy. Three quarters of income comes from over one million visitors annually who buy tickets to performances, events, exhibition and tours, and educational activities. Revenue is also generated by the on-site retail and catering. Further support comes from the Globe’s family of Friends and Patrons. These include a range of Members’ schemes at varying levels, corporate supporters, trusts, individual gifts and legacies. Following an absence of 400 years, the present Globe Theatre stands a few hundred feet from the original site. The rebuilding of the iconic building was led by the pioneering actor and director Sam Wanamaker who spent 23 years fundraising, advancing research into the appearance of the original Globe and planning the reconstruction with architect Theo Crosby. Sam Wanamaker died in 1993, three and a half years before the theatre was completed. The Globe Theatre is open all year, with tours and educational work throughout the year, and the theatre season running from April to October. It is an important space for research led by in-house scholars, as well as activities for school students of all ages. Each year in early spring, Playing Shakespeare with Deutsche Bank, a Shakespeare production created for young people and families, gives 20,000 free tickets to state secondary schools in London and Birmingham. The Sam Wanamaker Playhouse, opened in January 2014. The intimate, 345-seat candle-lit space is a beautiful archetype of the indoor playhouses of Jacobean London. Also open all year, the Playhouse’s principal theatre season runs from October to April. In addition, it hosts panel discussions, lectures, and musical events. It is also an essential space for original research, Read not Dead staged readings, family storytelling and workshops for school students and teachers. The Globe operates one of the largest arts education programmes in the UK; each year, over 100,000 people of all ages and nationalities participate in public events, workshops and courses. The Globe also runs extensive outreach programmes for students and teachers in the Southwark community, nationally and internationally. An in-house higher education and research faculty provides a year-long programme of lectures, study days, research in action workshops and conferences, as well as undergraduate and graduate courses. Shakespeare’s Globe Exhibition is open all year, 9.00am – 5.00pm. Globe Theatre tours depart every 30 minutes. As a working theatre, tours may not be available due to performances, rehearsals or events, and tours may be affected by technical work in the theatre. Free to Members and available to purchase in the shop, Globe magazine contains features, interviews and a behind the scenes look at the Globe’s work. Patrons who are members of the free access scheme are eligible for adjusted ticket prices. All online ticket purchases are subject to a £2.50 transaction fee per booking. You are receiving this email because you are registered to receive press updates and invites from Shakespeare’s Globe. If you no longer wish to receive emails from Press at Shakespeare’s Globe, you can unsubscribe.